Hours after a devastating series of apparently coordinated attacks in the Belgian capital of Brussels that left at least 25 people dead, observers were already comparing the March attacks to the Paris attacks — a series of attacks in November that left 130 people dead and shocked the globe. Ever since the Paris attacks, and even previous to it, Belgium had been bracing itself for terrorism. 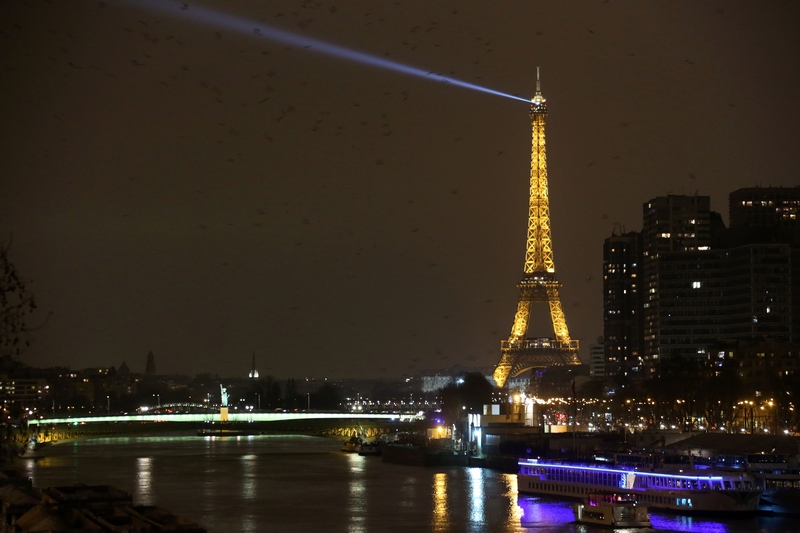 On Tuesday evening, once the city is dark, the Eiffel Tower will be lit up in tribute to Brussels with the colors of the Belgium flag, Paris mayor Anne Hidalgo said in a statement. Update: On Tuesday night, the Eiffel Tower was lit up, as promised, in the shades of the the Brussels flag. The move will honor "the victims, their loved ones and all the people of Belgium," Hidalgo said, noting that Paris stands in solidarity with Brussels and against terrorism. "Today, Europe is targeted at her heart; once more it is basic values that are attacked: freedom, humanism, tolerance and unshakeable commitment to democracy." Many observers in Paris and news outlets shared images of the tower. As a symbol of Paris and of France as a whole, the Eiffel Tower has been used before as an expression of solidarity: After 9/11, a huge United States flag was slowly unfurled at the base of the historic tower to represent France's standing with the United States.